Google Reader has yet again stepped up against an invisible opponent (seriously is anyone else even close now?) in the web based RSS reader space with more personalization options. Google Reader team has been busy introducing features that aim towards making it easy to find good web content, sharing it with your friends, leaving a comment, etc. Some of them have proved popular and some of them make you wonder why they are there in teh first place. Today’s new features introduced in Google Reader are however, will probably be a welcome addition for most folks. 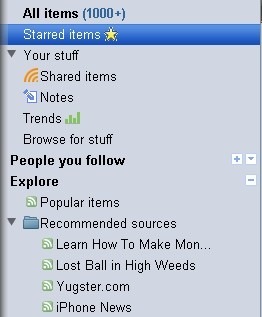 Explore section – Recommendations were being provided based on your trends earlier but it’s been brought to the forefront with Popular items & Recommended sources. The great thing about this feature is that it evolves based on your reading habits. 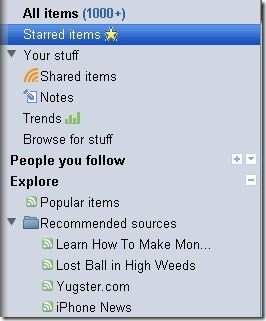 And it is now easy to find that article everyone is talking about right in your Popular items section. Magic Sorting – If you would like to see the feeds in an order ‘Google Reader determines you will like for sure’, there is new option under ‘Feed Settings’ called ‘Sort by magic’! This ranking is going to be powered by your reading and sharing habits. The more you like and share posts, the magic supposedly gets better. I have been using Feedly as a Google Reader alternative recently especially because Feedly has an Explore & Recommendations area where I can easily find new blogs of interest. It’s great to see the Google Reader team is delivering more useful features to an already awesome product. Plus, you can extend and customize it with cool Google Reader Greasemonkey scripts as well. If you haven’t given Google Reader a try in a while, you will be surprised to see how many subtle changes it has gone through.